Yesterday, my wife and I sat down to a dinner of perogies for the first time in awhile. And they were scrum-diddly-umptious! And it reminded me of my commitment to share ideas for comfort food and the beers that accompany them! So please consider a plate of cheese and potato perogies, paired with a light lager or pilsner as my next recommendation. Now I’m not one for making perogies from scratch, but I plan to soon enough. In the meantime, a bag of frozen will do. However, if you should happen to have a Polish or Ukrainian grocer in your neighborhood that offers you the hand-made option, get on it! In the meantime, all you have to worry about is garnish preparation. And that’s where things can get creative! Of course, its common knowledge that perogies can be prepared any number of ways. Personally, I like my mine well cooked on the outside, but still soft and supple enough to cut with a fork. After some trial and error, I’ve found the boil first, fry second method works best. The boiling ensures that the skin and innards are cooked through, and frying them with the garnish gives them a slightly crispy, smoky, salty flavor. Slice bacon strips and add them to the pan, adding chopped onions once enough fat is present to cook them in. Stir well to prevent sticking, add perogies once the onions are soft. Add butter, and then stir regularly to prevent from sticking. Add green onions last and continue to stir. Remove from heat once all perogies are a nice, golden brown, the onions are soft and a little browned themselves and the bacon is nice and crispy. Serve with plenty of sour cream and dill! As I said earlier, the best pairing for this dish seems to be a nice lager or pilsner. 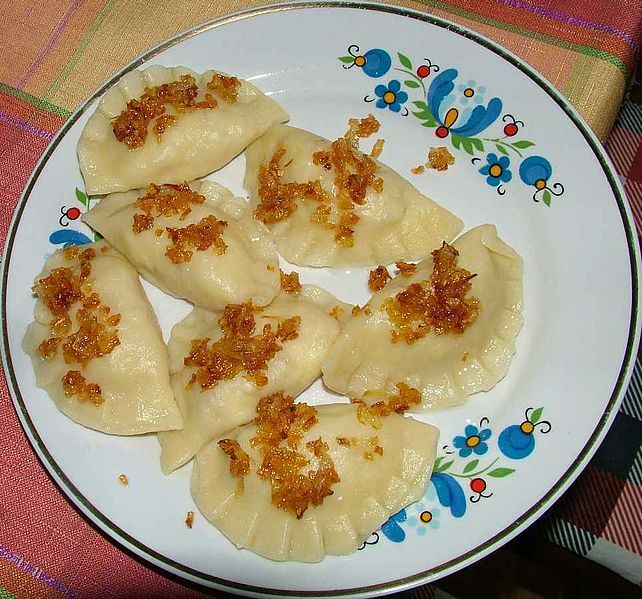 Perogies have a multilayered flavor that ranges from the subtle (cheese, potatoes) to the strong and zesty (onions, dill, sour cream and bacon). As a result, I feel a light beer that will not overwhelm the palate or compete with the flavor would be best. 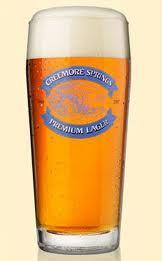 For this, I would highly recommend Hoyne’s Hoyner Pilsner or Creemore’s Premium Lager or Cameron’s Lager. 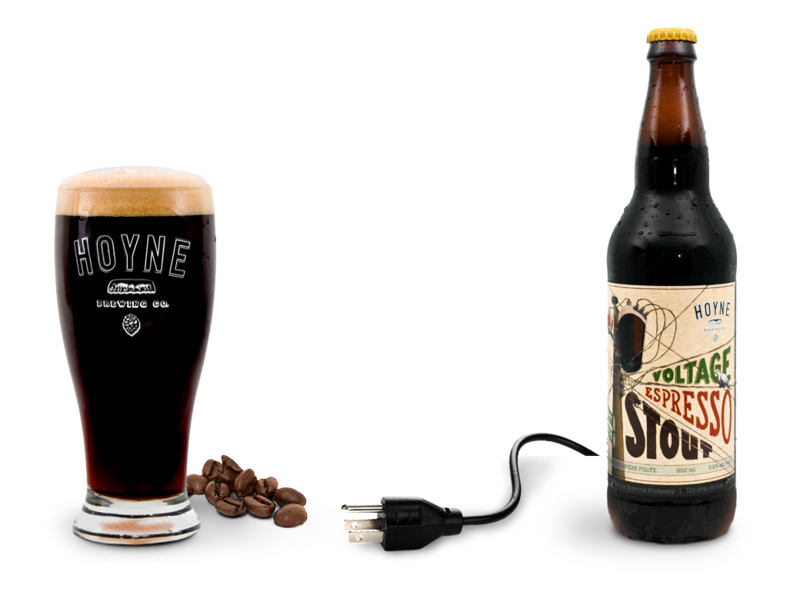 I say Hoyne’s first because it just happened to be what I was drinking at the time. And it was a per-diddly-erfect accompaniment! As part of the fall season, I thought I might share some culinary ideas, specifically with regards to comfort food. For those of us who live in the more temperate regions of the planet, where Autumn is known to bring cold winds, darker days, and plenty of moisture that chills your bones, this is an essential area of knowledge! 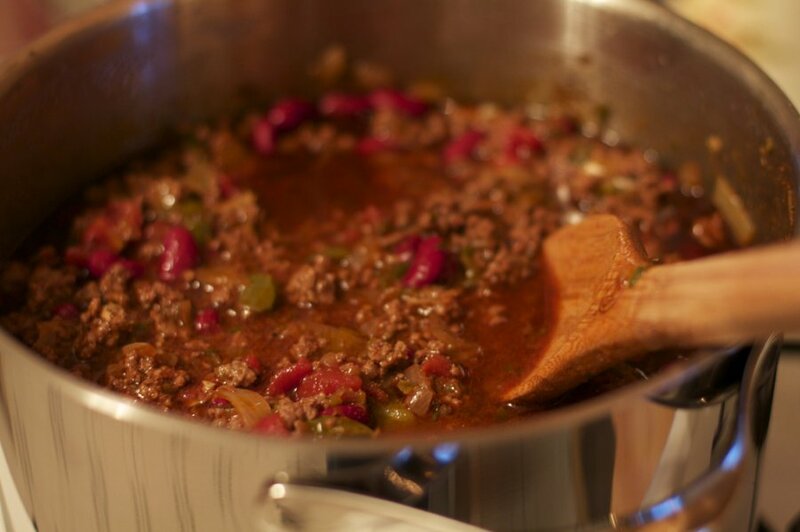 And to start this list off right, I have decided to share the Williams’ family recipe for chili. I can’t tell you how many winters this food has gotten me through. Not only is it a warm, delicious meal that will stick to your bones and beat out the cold weather, it is also downright delicious, even when reheated. Yep, in addition to being awesome, it also keeps well and will continue to please for many servings. Anyhoo, here is the breakdown for a single pot. Adjust amounts based on how many you intend to serve, as this can be expected to provide multiple servings for at least two hungry people. For those with smaller appetites, I expect at least four people could eat from this and go back for some seconds. Enjoy! Combine garlic, onions, beef and chili powder in a large soup pot with a small amount of vegetable oil Cook until meat is browned and garlic and onions are softened. Add beans and tomatoes (including the liquid from the can), then add tomato paste/soup. Stir frequently and add chili powder to taste, and consider adding Sriracha sauce, chili flakes or Tabasco to add heat. Serve with buttered, crusty bread to sop up the liquid, and be prepared for a major case of ITIS! And of course, how could I, the GCBS, consider this recipe complete if I did not mention some fitting beers to accompany it? Well, beer and chili aren’t exactly a match made in heaven, I’ll admit. But when it comes to the various flavor and textures of this food, I would have to recommend a beer that goes down clean, or provides a smooth tawny stimulation. What’s more, hot food usually demands a beer that is either best served cold and which is crisp and refreshing, and/or something that has gentle malts and doesn’t contain too much in the way of hops. Otherwise, your tongue will be a battleground of competing flavors and stimuli, which won’t work out too well in the end. Hence, I would have to recommend either a good clean lager or a nice smooth stout. A brown ale can do in a pinch as well, provided its not heavily hopped and nice and tawny. 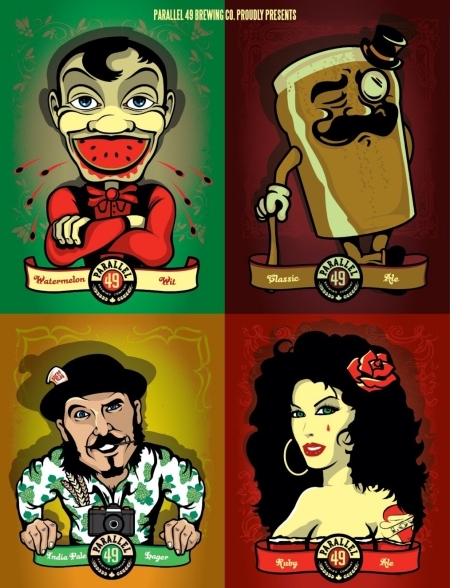 My personal favorites would be Naramata Nut Brown Ale, St. Ambroise Oatmeal Stout, or VIB Iron Plow Marzen. In short, a fall beer for a fall dish! Again, these are merely suggestions, and the culinary world is built on experimentation. If you’ve got variations on this recipe and the pairing, please feel free to share them with me. And please let me know if the following recipe and pairing suggestions works out for you! Driftwood is back with it’s second release in the “Bird of Prey” series! And this time around, its a sour brown ale made in the Belgian fashion of Oud Bruin (Old Brown) ale. Fans of this series, or those who have a very good memory and just happen follow this blog , will no doubt remember that last fall, they came out with their Flanders Red – a sour ale made in much the same fashion. Suffice it to say, their Flanders Red was one of the best all around beers I have ever had, balancing authenticity with complexity of flavor and drinkability. Granted, your non-beer drinkers might find it somewhat inaccessible, but there is an awful lot there to appeal to the discerning beer drinker! Much the same is true of the Mad Bruin, which is also made using the same strain of Belgian yeast and aged in oak barrels for 16 months before being bottled and shipped. The end result of all this is a complex, flavorful beer that has a high concentration of lactic acid, making it quite sour on the tongue. At the same time, the oak barrel aging process allows for notes of flavor that are not unlike a nice, dry red wine. Many different types of tart, sweet fruits are discernible in the nose and palate as well, contributing to a flavor that is both well suited to food pairing and enjoyable on its own. Hello and welcome back to the Fall Beer series! After a brief diversion to sample a new brewery, well new to me (Parallel 49), I’m back on the seasonal beer horse! 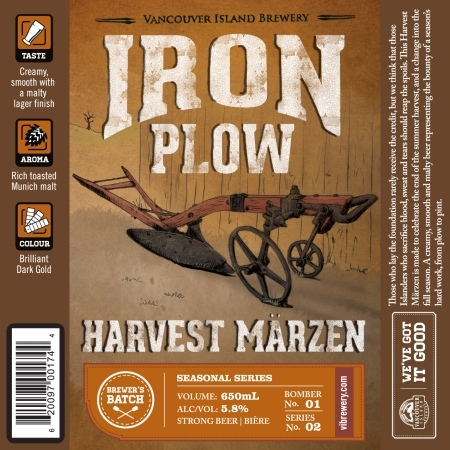 And the beer in question is Vancouver Island Brewery’s Iron Plow Harvest Marzen, a pale lager that commemorates the end of the summer harvest and the beginning of the fall season. And much like many of their other limited release or seasonal beers, I was quite happy with this one. Not only was it a pleasant drinking experience, it confirms that Vancouver Island is once again excelling at craft brewing, making small batch, high-quality beer that has good flavor and is faithful to the best in brewing traditions. I’ve now sampled this beer a total of five times and still find myself still going back for more. But that’s the thing with a good, refreshing Marzen lager. They get the job done and go very well with food, especially the kind of spicy or warm, comfort food that goes so well with dreary fall weather and cold, early evenings! FYI, this is my 100th post as the GCBS! Cheers! A Vancouver-based operation, Parallel 49 is a relatively new brewery, but is quickly growing in popularity. They only recently got on my radar thanks to their seasonal Lost Souls Chocolate Pumpkin Porter. And thanks to the BCL, who is now purveying their sample pact, I managed to get my hands on every beer in their lineup. This includes their Old Boy Classic Ale, the Gypsy Tears Ruby Ale, the Hoparazzi India Pale Lager, and the new Seedspitter Watermelon Wit. Quite the ambitious variety, and it certainly shows a preference for experimentation on behalf of the brewers. Needless to say, I was both intrigued and ambivalent when I picked up the pack, but was pleasantly surprised by the time I had sampled them all. Here’s what my taste buds and other senses had to say. Not bad Parallel 49. Not bad at all. A rather interesting combination of flavors and styles. I think it’s fair to say that I will be following your exploits with some interest from now on.